What would you risk to save a child’s life? A New York EMT didn’t hesitate to act when he found out that a girl was choking, but it may have cost him his job. A private New York EMT says he was suspended without pay for stopping his ambulance to help a 7-year-old girl who was choking on food she’d eaten at school in Brooklyn last week. When Reid, who has been driving ambulances for four years, stopped to help her, he knew the child’s emergency took priority over the nursing-home patient in his vehicle. 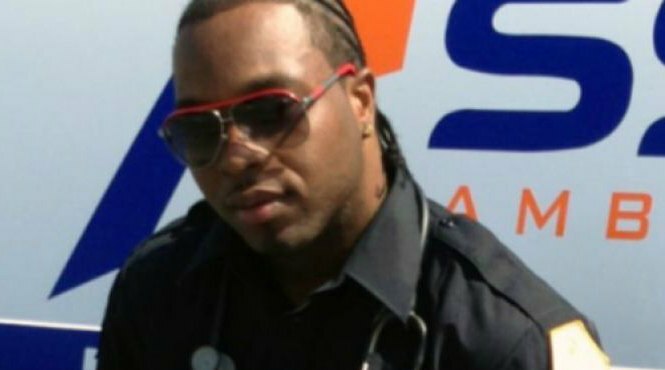 The patient in his ambulance was never left alone; Reid’s partner was still on board. Although Reid did everything he could to help the young girl, she is currently on life support. At this point, NY 1 says the child, identified as Noelia Echavarria, is brain-dead, but her family is hoping for a miracle. The ambulance company said the reason for Reid’s suspension is because he violated policies about EMTs not leaving their patients. The policy is in place for a reason, and he did violate that policy. But at the same time, the patient in his ambulance wasn’t left alone, and Reed was responding to a bigger emergency — a young girl whose life was at stake. It seems senseless to suspend him for doing the right thing.